Translation on infinite HIATUS. If anyone is interested in continuing, email me or message me on Discord. 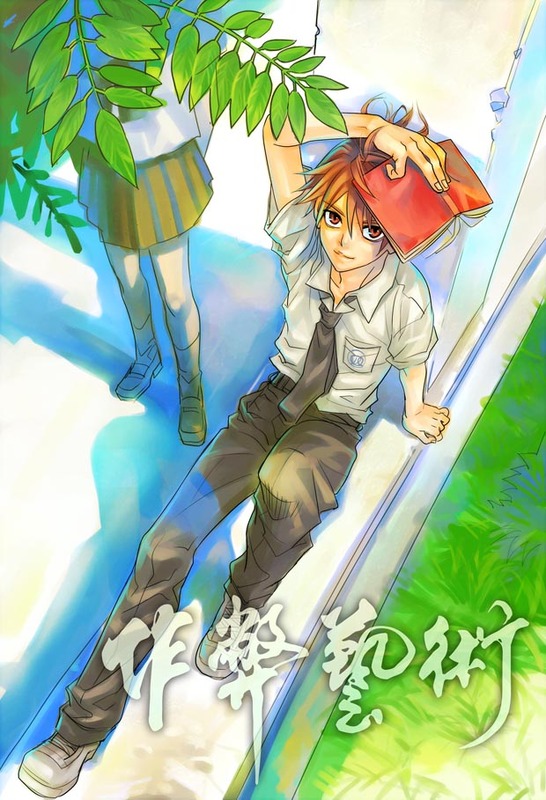 Cheating Craft (作弊艺术) is a young adult adventure genre Chinese light novel written by Gemini (星罗). It also has a manhua and anime adaptation. Zhuge Meng Ming has been overseas his whole life, privately learning the cheating technique of casino tricks. Because of an unforeseen incident one day caused by a certain reason, he is forced to return to China to attend high school, and prepare for the national college entrance exam. However, he has never gone to school before, and doesn’t know how to do homework or take exams, and he hasn’t even learned any school subjects! In order to get good enough scores on the exams, he must use his own technique to cheat on the tests. The various examination sites he enters become battles of wit and bravery against proctoring teachers, monitoring equipment, and a whole ton of strong and formidable cheating examinees. Disclaimer: I do not own Cheating Craft, nor do I make profit off of it. All rights belong to its original author, 星罗. The only thing that I own are my translations. Please do not re-post this content anywhere. Warning: The manhua is an adaption, and does not follow the novel exactly. It skips certain parts, and changes many details as well. Major spoilers alert. Reading the manhua may enhance or ruin your LN reading experience. Quiz 25: Just Give Me The Answers! oh, does this have romance or none? Judging by what has happened so far, most likely, although I doubt that’ll be the main focus. That was actually my original translation of it, but the original novel raws have “Cheating Craft” as the official English name for it, so I stuck with its official name. ah. well, it’s just the title, so i guess it doesn’t really matter. hmmm…. I got a headache reading this… only for the first time though, I got used to it, haha XD! You’re awesome! Thank you for translating this novel! Hi..Yh..Um..On novel updates, it says there are 10 volumes, but you’ve only translated 6 and it’s listed as completely translated? So, I guess my question is if youve finished translating the whole thing or have u dropped it? NU is an unreliable source since anyone can modify the information on it. I have not finished translating the whole thing, nor have I dropped it, although updates are infrequent. Aaaah. That’s a relief. Thank you for the clarification.